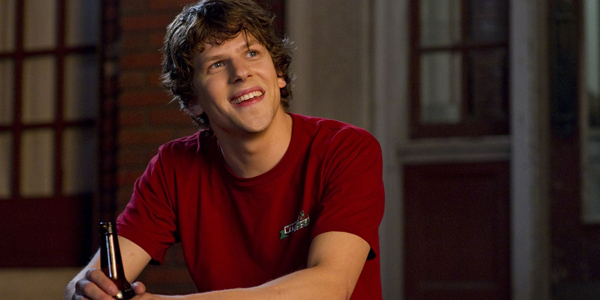 Not since Ben Affleck was announced as the new Batman have we seen the internet so divided by casting, most of which is aimed at the studios choice to hire Jesse Eisenberg (yeah, the kid from The Social Network) to take on the role of Lex Luthor in the upcoming Batman Vs. Superman film. Not that we even know if that’s what it’s going to be called. Jeremy Irons has also been announced as Alfred which everyone seems slightly less angry about. So much for those Bryan Cranston will be Lex Luthor rumors. Lex Luthor is often considered the most notorious of Superman’s rivals, his unsavory reputation preceding him since 1940. What’s great about Lex is that he exists beyond the confines of the stereotypical nefarious villain. He’s a complicated and sophisticated character whose intellect, wealth and prominence position him as one of the few mortals able to challenge the incredible might of Superman. Having Jesse in the role allows us to explore that interesting dynamic, and also take the character in some new and unexpected directions. This should be interesting. And we don’t know if we mean that in a bad way or a good way. So… Lex Luthor is basically going to be an older, more evil version of Mark Zuckerberg, then? That’s what they’re going for? Hopefully one who’s bald. But he’s sill way younger than Superman or Batman which is weird. I can only assume they picked a name out of a hat.